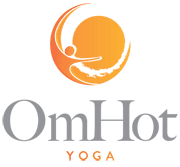 OmHot Bikram Yoga Clinic is a 90 minute class in the tradition of Bikram Yoga. The teacher leads the class from the front of the room and teaches using a "direct command" teaching style. Consistent and succinct information that will enable new students to access a solid foundation in each of the poses of the series. New students will be asked to set up in the back two rows of the yoga room and will practice behind an experienced student. New students will hear the teacher describing the postures in detail AND watch an experienced student practice in front of them. This is a time tested method of learning the Bikram Yoga Series. OmHot Bikram Yoga Clinic is designed to allow new students to approach the Bikram Yoga Series in a more open, nurturing and inquisitive manner. The teacher is there to guide them to learn the very basics of the series and to become comfortable enough with the basics, so the recorded classes become a regular part of their practice. Regular practitioners are encouraged to participate in Clinics and are invited to practice in the front rows and lead by example.